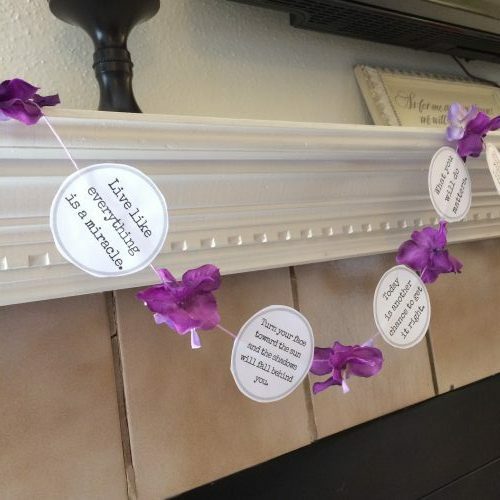 Add some positivity into your space – why not make your own Positivity Garland? It’s easy – just some circles with positivity prompts, a length of embroidery floss, & a few artificial flowers! 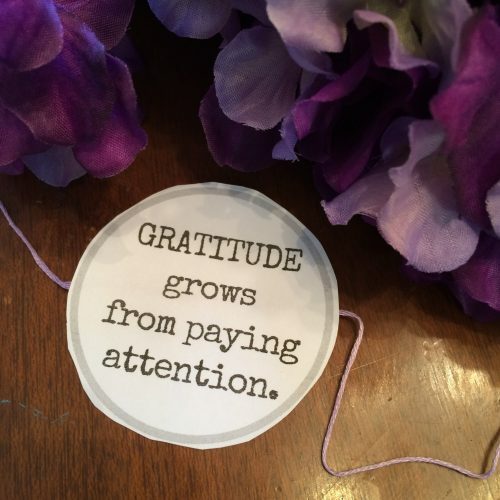 Less than 20 minutes and you’ll have a pretty little garland for your space – on the fireplace, bathroom mirror, bedroom headboard, or… Fill in your name & email to download a PDF with the instructions and positivity prompt circles – add some positivity to your life! 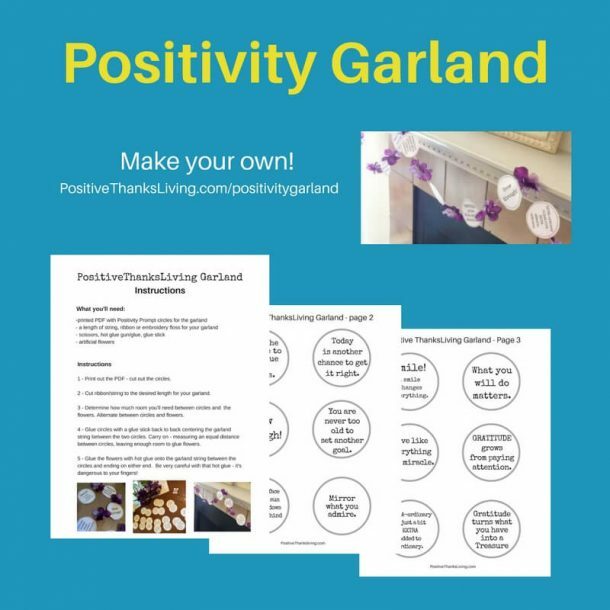 Get the instructions and positivity prompt circles to make your own garland. Also receive more prompts to be positive!